They have entered in the beginning of 1950s and the company carries on its production activities in its facilities established on 5000 square meters of covered area with the objective of providing quality products to consumers in product group of: Instant powder drink, energy powder drink, instant coffee (classic, gold, 3 in1, 2in1) cappuccino, coffee cream, custard powder, cream caramel, cake flour mixtures, baking powder, sugared vanillin, cocoa powder, potato puree, max quick (milky drink strawberry, cacao, banana), crème Chantilly, whipped cream, cake cream, jelly, hot chocolate, sahlep with milk, bouillon cube and powder (beef, chicken and shrimp) oats. User Food and consumer Goods Production Marketing Industry and Trade Corporation export major part of it’s productions and it aims to be a pioneer company in it’s sector by using advanced technology with it’s specialized staff and by doing works to increase the level of quality, productivity, customer satisfaction and reliability, specially in ready mix powder food products. 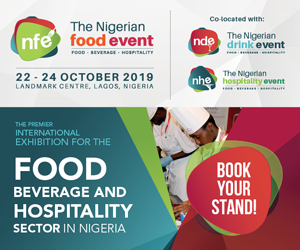 One of the most important features of USER FOOD & PRODUCTS CO. that also enable us to gain competitive advantage in the global arena is its commitment to use latest technology in order to produce finest food products that comply with the highest worldwide quality standards. USER is managing its quality by implements ISO quality management system. This enables us to systematize our operations and contact production. Another pillar of our production policy is food safety, Which is assured with the implementation of HACCP system. We have four categories of products, namely fruit aroma powder drinks, instant coffee and coffee mixes, bullion and ready-made sweets. We export all of the production to 75 countries. We especially focused on the markets in Africa, Middle East and Central Asia. We also seek new markets. This year we started exporting to Caribbean islands. Base of our business is powdered food that we produce about 4 thousand tons annually in compliance with the rules of Turkish standards institute. We have to get health certificates for exporting goods. Also buyers have our products tested in their countries. Sugar is our main material that we buy it from domestic sources. Coffee is imported from India, Brazil and Vietnam, other materials comes from China and Indonesia. Our import ratio is 60 %. 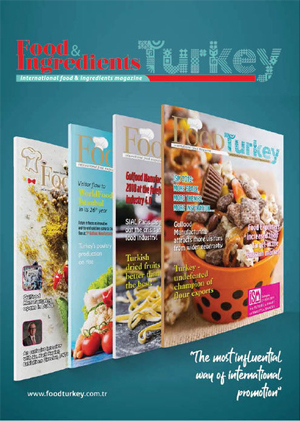 Especially in powdered drink category Turkey is known as a growing producer in the world. Name of Turkish coffee is famous as well. Competition is fierce in coffee. Our exports may increase more when the service quality is improved. For some reasons, the year 2014 was not satisfactory for our company. The events in the region influences trade performances highly. But we are optimistic for the year 2015. We have planned a target to export 20 million dollars of product this year.